I am often asked, “How do you do that? How do you find meaning and spiritual parallels in movies?” There isn’t a formula, and the answer is as varied as the movies I see, but Annie presents an interesting “teaching” opportunity. Often, I go into a movie completely unaware of what to expect and simply look for what themes might arise. Other times, however, I go in with my radar up and antennae tuned in to a particular idea. Such is the case with Annie. I confess, I haven’t had a chance to see it yet, but I do have an idea of the story line having seen an older version. Without seeing the movie, I already know some spiritual themes and ways to use Annie to engage in spiritual conversations. So, back to Annie. What are some of the themes? The two major ones I see with spiritual connections are: orphans and adoption. There are two other themes which also stand out to me from the preview and/or past experience with the story: father figures and perspective. I don’t necessarily have to know what the movie says about these things if I just know it’s a theme. I can ask someone: “It seems like adoption is a key theme of the movie…how was it portrayed? What was the general message?” Let them share. See where the conversation takes you. Admittedly, this will be less threatening to you if you know a few things the Bible has to say about adoption so you have some ways to connect it to your faith. Hopefully I’ll find a minute to see Annie. When I do, I may find that I nailed it—the issues I expected ended up being the ones which stood out the most. Or, I may be surprised to find that something else (totally unexpected and unforeseen) impacted me most. That’s fine. It doesn’t mean those other themes weren’t there. And even if they weren’t, my wrong suppositions, in a conversation, can still lead to fruitful results. What I mean is, I may ask someone, “So, I get the feeling that show has adoption as a central theme, what did they have to say about it?” And they may answer, “Well, no, it wasn’t really central—in reality it was focused on this issue.” At which point, I can either discuss that issue with them, or I can say, “Oh, that surprises me…so what do you think about adoption, anyway?” Either way, I’m launching into some interesting conversation about life themes which can lead to conversations about Jesus. It’s more important that I enter the dialogue than that I have a thorough grasp of the movie. That being said, let me take a minute to discuss these various themes (assuming they are a part of the movie!) and give you some Bible verses and questions to maybe ask on each. 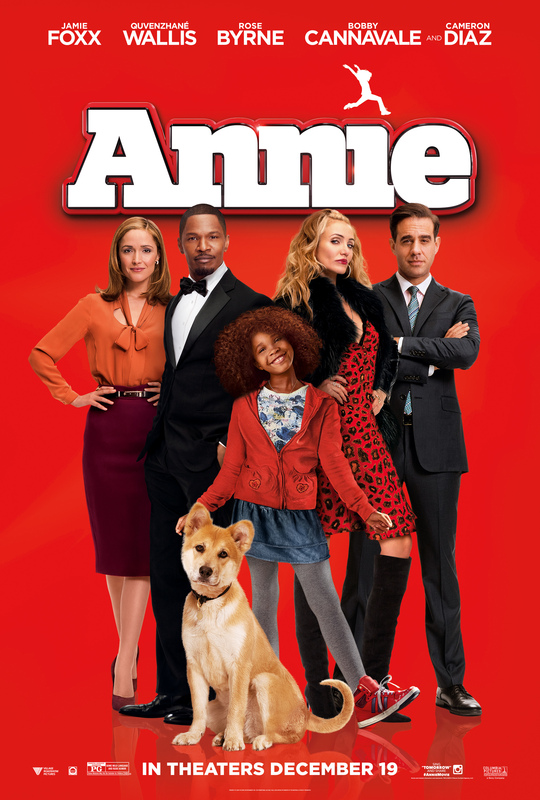 From the preview alone, you can see that Annie is an orphan that ends up finding a (temporary, at least) home with a rich man. You can see, however, in the preview, that he is less interested in helping an orphan than he is in helping himself and his political career. This leads to a treasure trove of discussions about the plight of the orphan, our social responsibility and even spiritual responsibility to care for them, the role and importance of motives, etc. What struggles did Annie face as an orphan? What struggles do you think orphans face? Do you think we have a social responsibility to help orphans? Why or why not? Psalm 82:3 Defend the cause of the weak and fatherless; maintain the rights of the poor and oppressed. Isaiah 58: 5-10 Is this the kind of fast I have chosen, only a day for a man to humble himself ? Is it only for bowing one’s head like a reed and for lying on sackcloth and ashes? Is that what you call a fast, a day acceptable to the LORD?6 “Is not this the kind of fasting I have chosen: to loose the chains of injustice and untie the cords of the yoke, to set the oppressed free and break every yoke?7 Is it not to share your food with the hungry and to provide the poor wanderer with shelter– when you see the naked, to clothe him, and not to turn away from your own flesh and blood?8 Then your light will break forth like the dawn, and your healing will quickly appear; then your righteousness will go before you, and the glory of the LORD will be your rear guard.9 Then you will call, and the LORD will answer; you will cry for help, and he will say: Here am I. “If you do away with the yoke of oppression, with the pointing finger and malicious talk,10 and if you spend yourselves in behalf of the hungry and satisfy the needs of the oppressed, then your light will rise in the darkness, and your night will become like the noonday. Will Stacks (or Daddy Warbucks, depending on what version) wasn’t initially helping Annie from good motives, did that matter? Do you think it is important to have the right motives? Is there benefit in doing the right thing even if your motives may not be right? Matthew 6:1-4 “Be careful not to do your ‘acts of righteousness’ before men, to be seen by them. If you do, you will have no reward from your Father in heaven. “So when you give to the needy, do not announce it with trumpets, as the hypocrites do in the synagogues and on the streets, to be honored by men. I tell you the truth, they have received their reward in full. But when you give to the needy, do not let your left hand know what your right hand is doing, so that your giving may be in secret. Then your Father, who sees what is done in secret, will reward you. How would it feel if you’d never had a family to be adopted? How might it be different to be adopted as a baby verses being adopted when you were older (like Annie)? How might that change your perspective? Did you know that the Bible says that God wants to adopt us as His sons and daughters? How does that make you feel? Annie wasn’t just adopted by anyone, she was adopted by a very rich and powerful dad. In what was does that parallel our adoption into God’s family? Galatians 4:4-7 God sent his Son, born of a woman, born under the law, 5 to redeem those under the law, that we might receive adoption to sonship. [b] 6 Because you are his sons, God sent the Spirit of his Son into our hearts, the Spirit who calls out, “Abba,[c] Father.” 7 So you are no longer a slave, but God’s child; and since you are his child, God has made you also an heir. John 1:12-13 Yet to all who did receive him, to those who believed in his name, he gave the right to become children of God— 13 children born not of natural descent, nor of human decision or a husband’s will, but born of God. Romans 8:14-17 For those who are led by the Spirit of God are the children of God. 15 The Spirit you received does not make you slaves, so that you live in fear again; rather, the Spirit you received brought about your adoption to sonship. [f] And by him we cry, “Abba,[g] Father.” 16 The Spirit himself testifies with our spirit that we are God’s children. 17 Now if we are children, then we are heirs—heirs of God and co-heirs with Christ, if indeed we share in his sufferings in order that we may also share in his glory. This connection is a little bit more obscure than the others I’ve mentioned, but it’s one I love to discuss. Annie is adopted by this rich and powerful man. In some ways, that parallels our adoption into the kingdom of God. As his children, we have access to his resources and kingdom much like Annie was able to access and enjoy and live in the richness of the empire of her adoptive daddy. The analogy breaks down, however, when you look at the character of her adoptive dad versus God’s. Will was selfish and self-absorbed. At first, his care for her was very much motivated by how it would benefit himself. God loved us because it is His nature to love. He is never selfish or self-absorbed. He is perfect. In the preview, someone asks Annie if Will Stacks is nice. “I think so, he just doesn’t know it yet” is her sage response (or something very similar). God is nice, and He knows that He is. He is also good and wise and loving and perfect in every way. So, this discussion matters for at least two reasons: 1. If we show the parallel between Will and God as adoptive parents, we need to also distinguish where that analogy breaks down. 2. Whether they realize it or not, people often view God the way they do authority, especially father figures. A lot of people see God more like a Daddy Warbucks/Will Stacks kind of power-hungry, impulsive, sometimes good and sometimes selfish, rich and powerful sugar-daddy. (Greek mythology is pretty much based on this idea—the gods are no better than your average man except with super-powers—and often they are worse because the power just amplifies their short-comings.) The way a movie portrays authority figures (especially father figures) not only provides an inside look at how they most likely view God, but also gives us an opportunity to ask other people how they view God. What are Will Stack’s strengths? What are his weaknesses? In what ways do you think God is like Will Stack? In what ways do you think He is different? People often think God is like their dad. Do you? How so? How do you think God is different from your dad? Numbers 23:19 God is not a man, that he should lie, nor a son of man, that he should change his mind. Does he speak and then not act? Does he promise and not fulfill? Deuteronomy 4:31 For the LORD your God is a merciful God; he will not abandon or destroy you or forget the covenant with your forefathers, which he confirmed to them by oath. Deuteronomy 10:17 For the LORD your God is God of gods and Lord of lords, the great God, mighty and awesome, who shows no partiality and accepts no bribes. Annie is remarkably resilient. She has a “hard knock life” but continues to have hope that someday she will be loved, that her real parents may surface, that Will Stacks will realize he is really a good person and love her, that “the sun will come out tomorrow”… She continually sees the good in people and finds the positive in her circumstances. She has a lot to teach us about love, grace, hope and joy. How do you think Annie stayed so positive? If Annie had been negative, how might that have changed the outcome of events in her life for the worse? Are there things Annie did that you can emulate in your life that would help you be more optimistic? Do you think the Bible has anything to say about being positive and hoping for the best in people? How do you think these verses apply? Do you think Annie demonstrated these verses in her life? How can you demonstrate them in yours? 1 Corinthians 13: 4-8 Love is patient, love is kind. It does not envy, it does not boast, it is not proud. 5 It does not dishonor others, it is not self-seeking, it is not easily angered, it keeps no record of wrongs. 6 Love does not delight in evil but rejoices with the truth. 7 It always protects, always trusts, always hopes, always perseveres. 8 Love never fails. Philippians 4:4-9 Rejoice in the Lord always. I will say it again: Rejoice! 5 Let your gentleness be evident to all. The Lord is near. 6 Do not be anxious about anything, but in every situation, by prayer and petition, with thanksgiving, present your requests to God. 7 And the peace of God, which transcends all understanding, will guard your hearts and your minds in Christ Jesus. This entry was posted in Cultural Commentary, DIY, Encouragement, Missions, Movies, Object lesson, Parenting and tagged Adoption, Cameron Diaz, Christian Movie Review, Christian Review, DIY, Father Figure, How to, Jamie Foxx, Movie Discussion, Optimism, Orphan, Parenting Help, perspective, Quvenzhané Wallis, Rose Byrne, Shepherd Project Ministries, Stacey Tuttle, Themes. Bookmark the permalink.